Have a question? Check this list for the answer. It is not just physical abuse. It can occur in many ways and in many different type of relationships. Domestic violence and emotional abuse are behaviors used by one person in a relationship to control another. Partners may be married or not married; living together, separated or dating. Domestic violence takes many forms and can happen all the time or just once in a while. Visit our intake appointment page. If I get a temporary protective order against my abuser, when does it become effective? It becomes effective at the moment it is served, or delivered, to the abuser by law enforcement. The TPO states that my abuser can have no contact with me. Can I initiate contact if I need to? No. The no contact order applies to both parties. Can I still get a divorce if there is a temporary protective order in place? Yes. You must abide by the no contact provision in the TPO, but you may work through attorneys or the court system. Can my abuser keep me from getting a divorce by not signing the papers? No. You may obtain a divorce without agreement from the opposing party. However, you must follow the step-by-step process shown in your divorce packet. 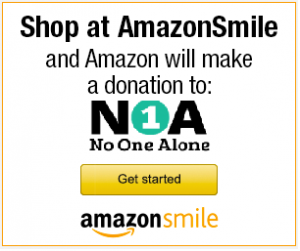 How can the community assist NOA in their effort to assist victims of Domestic Violence? Examples include volunteering in our major events throughout the year, donating much-needed items to our local thrift store, Southern Finds, or contributing financially. All of these ways are vital to our survival, as we could not exist without the help of our volunteers, donations, and donors. If you are interested in volunteering or financial contributions, please contact our administrative offices. Can I call the crisis line even if it’s not an emergency? Yes. You may call the crisis line with any questions or concerns regarding domestic violence. Visit our contact us page to find the best way to direct your call. How do I find out about NOA events and fundraisers? By visiting the newsletter section of our website, you can view newsletters about recent happenings as well as sign up to receive e-news or newsletters. You can also visit the events section of our website to learn more about specific events.